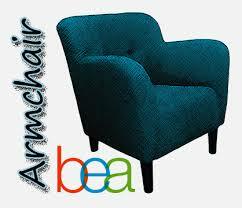 Hello Armchair Book Expo America (BEA) Participants! All this week, my blog will feature a series of writings on books, book related topics, and a special review of My Paris Story, a new book about expats in Paris, which, for reasons that will become obvious, is of particular interest to me at the moment. I’ve been blogging for many years, though not as a “professional”. I just love to write and process life through writing. As a result, I’ve had many blogs over the years including International Daze and Wild Adventures of a Modern Day Hermit. As of May 5th, I am living in and blogging from Southwestern France. And if anyone had told me over a year ago that I would be, I would have thought them delusional! This blog (at DielleCiesco.com) is a platform for all kinds of expression…from what I think about performance to how I discovered the voice of my inner guidance over a 35 day period to this exploration of books, writing, and the BEA. I love to read visionary and inspirational fiction (Coelho, Bach, that sort of book) and mind/body/spirit titles. When I have time, I indulge in novels. I especially love young adult, but I don’t have as much time for that anymore. For several years, I had a job that allowed me to sit and read while I got paid. Those were the days! What’s your favorite book so far this year? I am an editor for John Hunt Publishing, and this year, I had the privilege of editing an amazing book by Chris Thomson called Full Spectrum Intelligence. It’s not out yet, but it is one of the best books I’ve read in a long time. Once it is up on Amazon, I plan on giving it a 5 star review…something I rarely give. An up and coming book related blog that I enjoy is from O-Books, an imprint of John Hunt Publishing. Yeah, I’m little biased as they are my publisher and my sometimes employer, but they also happen to publish books on topics I love. But I also love astrology blogs (MysticMamma) (New Paradigm Astrology), foodie blogs (Food Renegade) (101 Cookbooks), and expat blogs (Expat Women) (Chez LouLou). Is It Just Me or Is It Noisy in Here?